There’s already enough pressure and drama during the teen years without having to battle acne, but unfortunately more than 80 percent of teens will experience some form of acne. And it can reappear well into adulthood. At Contour Dermatology, we empathize with teens and their parents over the emotional as well as physical aspects this skin condition creates. 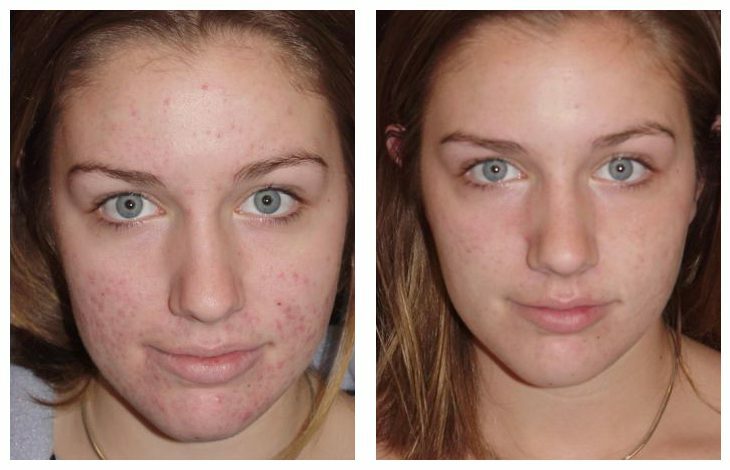 Treating people with acne and acne scarring is some of the most rewarding work we do. To see the transformation of patients to clear skin and enjoying a renewed sense of self-esteem is a truly joy. The first step is to get the acne under control. For moderate to severe acne, I typically recommend Accutane. It’s a proven therapy and only requires a short course, but has long-lasting results. For mild to moderate acne, Retin A can be helpful. We also have other oral and topical prescriptions we may recommend. Certain lasers target the sebaceous glands to reduce breakouts and blue light therapy kills bacteria. Once the active acne is controlled, we deal with any resulting scars. There are four distinct types of acne scars: Ice Pick Scars – so named for the deep pits they leave, Boxcar Scars – rectangular or oval shaped depressions, Rolling Scars – a waved fibrous pattern with soft edges, and Hypertrophic Scars – raised scars. Treatment options range from lasers, minor surgical procedures to dermal fillers, chemical peels and dermabrasion. Usually it requires a combination of technologies to deliver the best results. Laser Resurfacing – fractional CO2 is considered the Gold Standard for several types of scars. This laser ablates the top layer of the skin making scars shallow and less defined. It also stimulates collagen below the scar and shrinks and tightens skin. However, it is not recommended for darker skin types due to possible hyperpigmentation. Fraxel Laser – an alternative to the fractional CO2, it is less aggressive but fine for most skin types. Smoothbeam/Excel V Lasers – stimulate collagen to naturally fill in scars for a more even texture. Sublative Laser – For acne scars that stubbornly stick around. This fractionated bipolar radio frequency technology is the only technology proven to reduce a wide range of acne scars safely and effectively on all skin tones with minimal downtime or side effects. Dermaroller – an alternative to the fractional CO2. The Dermaroller uses needles to penetrate the skin to stimulate collagen much like fractional technology. Dermabrasion – a common treatment for “sanding down” acne scars and stimulating collagen. At Contour, we perform Vibradermabrasion with textured paddles, not crystals. TCA Chemical Peel – can help improve the appearance of rolling or depressed acne scars. Injectable Dermal Fillers – Help some scars and last anywhere from six months to one year. Subcision – Can elevate a scar and also stimulate collagen to prevent the scar from looking indented. Punch Elevation – lifts a scar with a punch biopsy scalpel and the tissue is sutured in place. Punch Graft – involves a graft of skin from a donor site such as behind the ear. The risk with this method is that the donor site may not match the exact skin tone of the receiving area. As you can see there are many options for reducing the traumatic effects of acne. After all, our goal is to help you feel good about your skin again.